Once you join a Medicare Advantage (MA) Plan, it must offer all or Part A (hospital insurance). An MA Plan must also provide Part B (medical insurance) benefits, along with emergency medical care. There’s basically only one major benefit that isn’t covered by these particular plans – hospice care. Hospice care is covered under Original Medicare (parts A and B), even if you still choose a new Medicare Advantage Plan. Several MA Plans provide additional coverage, including dental, hearing, vision, common checkups and health and wellness programs. Most of these plans include Medicare Part D (prescription drug coverage). The majority of MA Plans are basically managed medical plans, generally an HMO (Health Maintenance Organization) or a PPO (Preferred Provider Organization). Both these plans may require you to select a PCP (Primary Care Physician). You may also need to get a referral from your primary doctor to visit a specialist. And, these plans may only allow you to use in-network physicians, hospitals and any other care facilities and medical services. What is Medicare Advantage and what does it cover? A few private health insurance companies provide an MA Plan referred to as a PFFS (Private Fee-for-Service) plan. This plan allows a person to visit any doctor or hospital. However, Medicare must approve it. But unlike Original Medicare, you may be required to pay a copayment for any doctor visits. Also, not every provider may agree to treat you. However, with a PFFS Plan, a referral isn’t necessary to visit a specialist. And, you are not required to select a PCP. What is the cost for a Medicare Advantage Plan? Medicare will pay your MA Plan a set amount of money each month in order to provide your care and services. After that, the plan is liable for paying the doctor, hospital and any other care providers. Your MA plan must adhere to the rules of Medicare. But it can actually charge you a premium and extra out of pocket expenses. Examples of these would be: a yearly deductible for prescription medications, coinsurance for heavy-duty medical equipment (like a wheelchair) or a copayment for a doctor’s visit. Also, you are personally liable for your Medicare Part B premium that’s deducted monthly from your Social Security check. Generally speaking, you can usually join an MA Plan once you have both Medicare Part A and B. You must also live within an area where there’s an MA plan that will accept new members. Some plans, however, only cover specific counties in a state. Therefore, you must reside in one of the counties where the plan is offered. You can enroll by calling our toll-free line, at (888) 228-MEDI (6334). When you are connected with an agent, simply ask about what options for Medicare Advantage Plans. Are thinking about switching to another MA Plan? If so, you simply join the new plan and you will be automatically unenrolled from your former plan. And, there won’t be a lapse in your ongoing coverage. Medicare does limit when you can switch, drop or join a Medicare Advantage Plan. When you initially become eligible for Medicare, you can then choose to join. This would be anytime starting three months prior to your 65th birthday. It ends three months after you turn 65. You may have Social Security Disability Insurance (SSDI) and are disabled. In that case, you can choose to join an MA Plan just three months before and after your 25th month of Social Security disability. Also, you can decide to either drop or switch your MA Plan during an Open Enrollment Period (OEP). This runs from November 15 through December 31 each year. You can sign up for an MA Plan regardless of any pre-existing conditions. And, there is no waiting period. If you are currently in an advantage plan HMO, you have to select a PCP. You can only use the pre-determined network services. If your MA Plan doesn’t cover prescription drugs, you can choose to join a Medicare Part D plan in your state. But if you are currently in an MA Plan with prescription drug coverage, you cannot join a Medicare Prescription Drug Plan. This will cause you to be automatically unenrolled from your current MA Plan. You will then be booted back to Original Medicare. You can join a different plan or go back to Original Medicare if your MA Plan should decide to stop participating in Medicare. It isn’t necessary for you to purchase a Medigap (Medicare Supplement Insurance Policy), as long as you’re presently enrolled in an MA Plan. Truthfully, it is highly illegally for any organization to sell you a Medigap policy if you are enrolled in an MA Plan. Your MA Plan in fact, covers the specific Medigap benefits. Also, the supplement will not cover your plan’s coinsurance, copayments or deductibles. Are you are currently enrolled in a Medicare Advantage Plan? If so, it may be necessary for you to choose between paying a higher cost premium or face reduced benefits. But these particular plans are unable to cut any of your benefits that you would otherwise receive from Original Medicare. 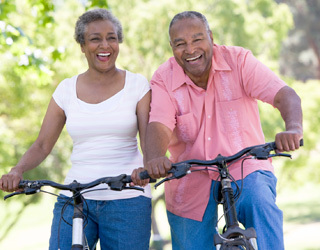 If you are considering enrolling in a Medicare Advantage Plan, check out HealthNetwork.com. This website offers a wealth of MA Plans in your area.